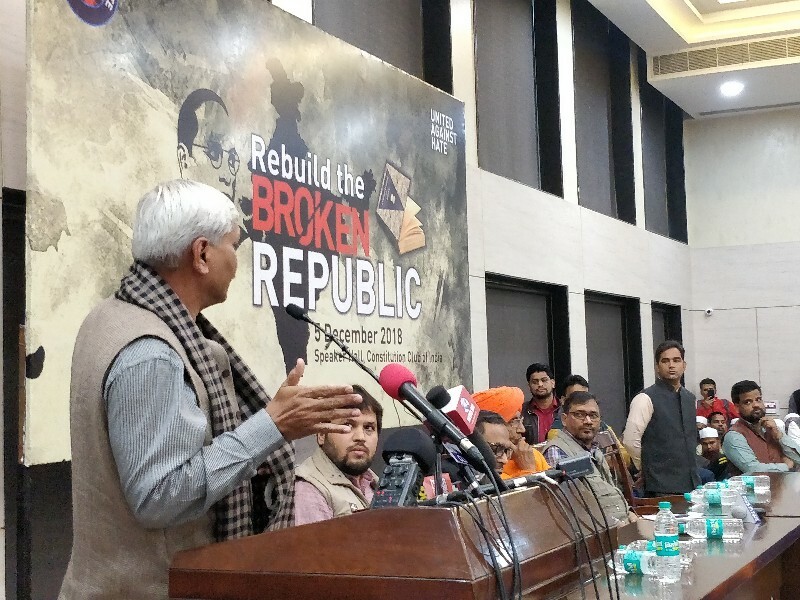 United Against Hate organizes a convention at Constitution Club of India, titled "Rebuilding the Broken Republic". The protest meeting against the growing communalisation is organized over the attack on the constitution. Soni Sori, Radhika Vemula, Mehmood Madani, Kanhaiya Kumar, Jignesh Mevani, SQR Illyas, Swami Agnivesh, Umar Khalid, Prakash Raj, Father Ajaya, John Dayal and others will addressing the gathering in 3 different sessions.